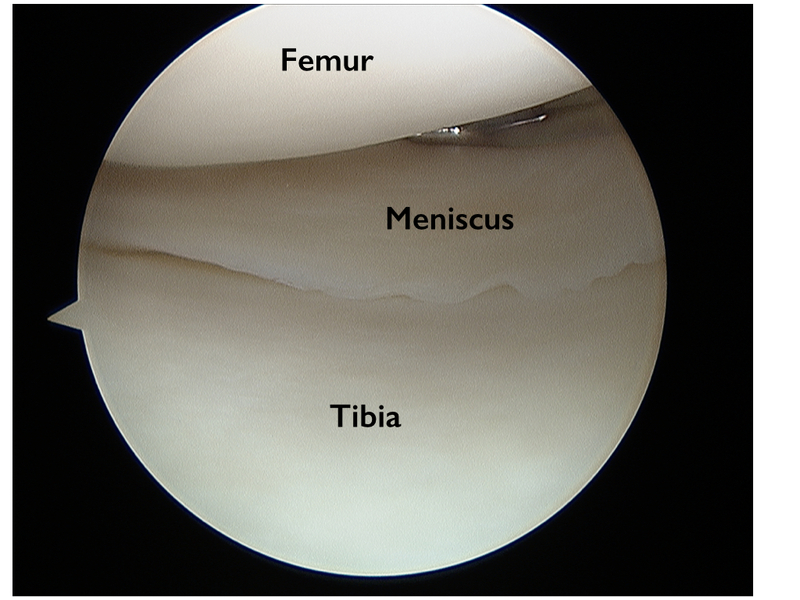 Torn Meniscus - Anatomy and Causes (Video) - Jeffrey H. Berg, M.D. A torn meniscus is one of the most common causes of knee pain. 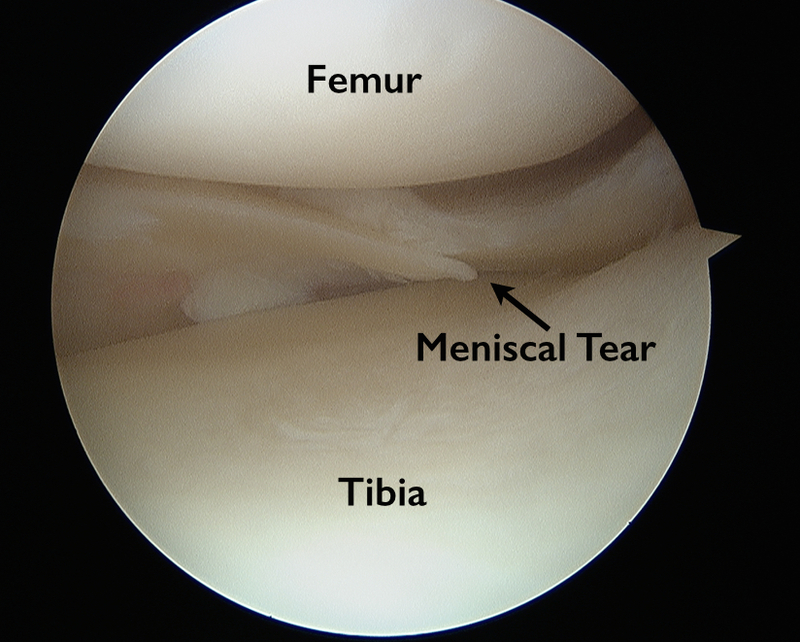 Meniscal tears can result from nearly any activity involving bending or twisting of the knee. They often occur while performing athletics but can also frequently occur during nonathletic activities. Their incidence, like many orthopaedic ailments, increases with age. The meniscus is a rubber-like C-shaped disc that sits within the knee between the end of the thighbone (femur) and the top of the shinbone (tibia). 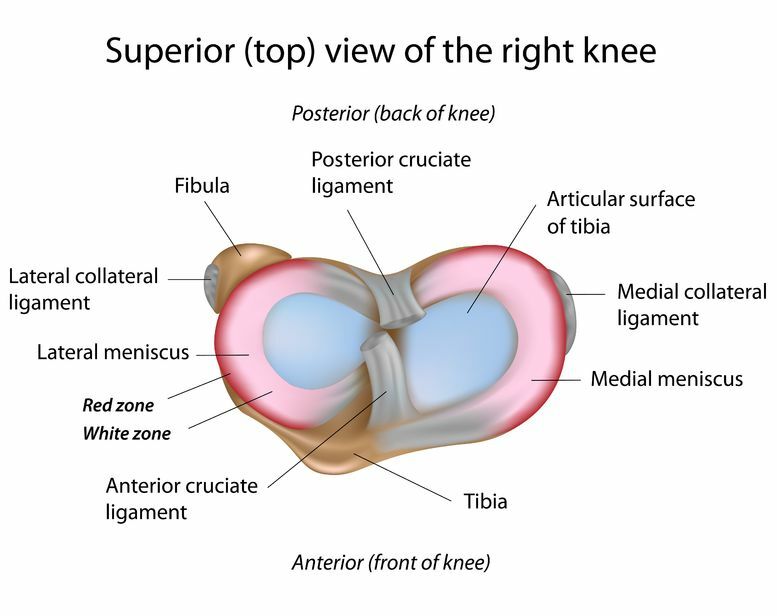 In the healthy knee, there are two menisci. The medial meniscus is on the inner part of the knee, closest to the other leg. 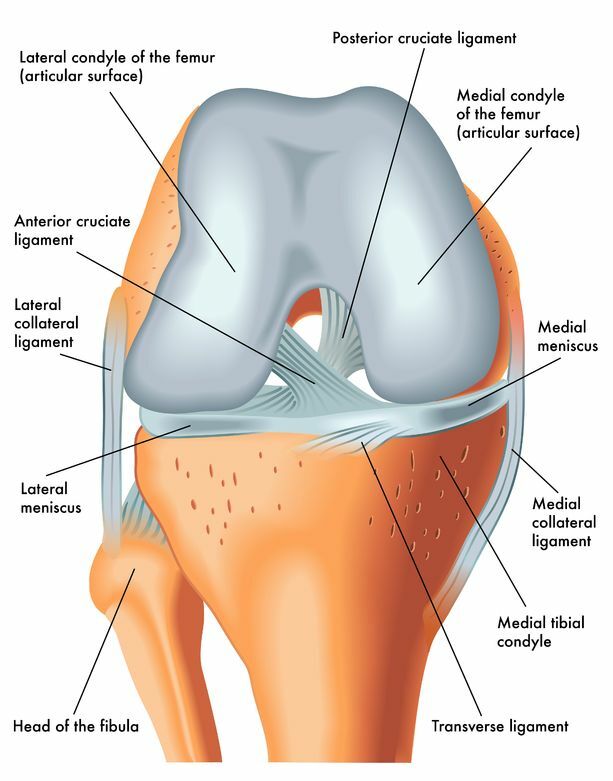 The lateral meniscus is on the outer part of the knee. On occasion, the meniscus can be discoid. A discoid meniscus is more disc shaped and less C-shaped. These occur more often in the lateral meniscus. Still, discoid menisci are quite rare , only occurring in approximately 1-3% of knees. The meniscus is primarily made of fibrocartilage which because of its strength and flexibility deforms as the knee moves. It also possesses a unique C-shape with increased thickness at its outer edge that progressively thins towards its inner edge. In addition, the meniscus has strong peripheral attachments. This unique structure enables it to protect the cartilage surfaces of the femur and tibia and assist in stabilizing the knee. As a result, loss of meniscal tissue can lead to earlier wear of the cartilage surfaces. This is called osteoarthritis. Furthermore, the meniscus’ blood supply is primarily within its outer third. This promotes healing of less severe peripheral injuries which helps preserve this important region. Unfortunately, the lack of blood supply more centrally makes the remaining meniscus vulnerable to irreparable damage. See the video below to view the arthroscopic appearance of the normal medial meniscus. A torn meniscus is just that – It is a tear in the structure of the meniscus, usually with a loose fragment or several loose pieces. These loose pieces are responsible for the subsequent symptoms. Most tears occur in the back portion (posterior horn) of the meniscus. Some will occur in additional or adjacent locations. Lateral meniscal tears that arise from degenerated tissue, frequently occur in the middle section (mid body). A torn meniscus can take on a number of shapes. Most of these have little importance to the patient since they often don’t alter the treatment. Some particular tear types are amenable to repair (suturing the torn pieces together). Whereas, other types only allow for removal of the torn painful fragments. A torn meniscus can occur from nearly any activity that requires lower body weight bearing. Frequently these tears will occur in younger people during athletic activities that involve twisting, squatting, cutting or landing from a jump. Since the younger meniscus is stronger, an injury is often required to tear them. As a result, these tears are often seen in conjunction with other injuries of the knee such as ACL injuries, bone bruising and/or cartilage lesions of the femoral and tibial surfaces. The following video is of Russell Westbrook tearing his right lateral meniscus. Note that the injury is caused by direct contact to his knee with subsequent twisting. As patient’s age, the meniscus becomes more friable and less resilient. There are often small areas of micro-trauma within these menisci. Often, this damage is unable to heal due to a reduction in the meniscal blood supply with aging. As a result, in older people, a torn meniscus can occur from much less trauma. In fact, these tears often occur from simple activities of daily living.